Additionally, we are likely to have a cash flow issue later in the year as the VAT that we will be reclaiming will be paid in instalments, smaller than the amounts we are paying to the contractors i.e. our expenditure will be greater than our income for a period. Funds raised would help to ‘plug this hole’, although a bridging loan from the General Trustees of the Church of Scotland can assist for a short period. So, there is still some way to go, and as a charity we depend on raising this ourselves and there are events planned for later in the year – watch the website, social media and notice boards for details. Many individuals have already contributed, and if you would like to support us in building for the future, with modern fully equipped facilities available for community and performing events, in the context of a beautiful traditional Church, please consider making a donation. 1. Consider pledging an amount, either a one-off donation or a smaller amount over a given period. A Pledge Form can be downloaded from the link below, completed, and sent to the Church Treasurer. 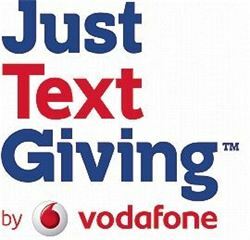 JustTextGiving by Vodafone is supported by the Vodafone Foundation (registered charity 1089625) where every penny of your donation goes to your chosen charity. ​Text donations are free for Vodafone customers. Other networks may charge you for your text, so check your operator’s standard rates before texting. ​​3. You can donate online through mydonate which is a free online donation service sponsored by BT, where they charge 0% commission on your donation to your chosen charity. Yes – well you can raise money for your charity by making your purchase or booking via the easyfundraising website, at no extra cost to you. For further details on this visit our easyfundraising page. ​Can you Gift Aid your donation? All that is required is that you must pay UK income tax or capital gains tax, at any rate, at least equal to the amount of tax being reclaimed, and give your donation through any of the above methods or by bank standing order or by cheque to establish the necessary audit trail.